These last couple days have been filled with preparing for final exams and finishing projects for my classes, and it has honestly been really nice to slow down and take a breath. It’s sad to see friends I made just recently leave so soon, but also exciting to meet the new group of students who will be coming in the next couple days. One of my good friends, Marc, comes with the new group of students, and it will be exciting to see him in the upcoming days. Every week Jenna, the leader of student activities, holds a short time of worship on Wednesday nights. It is called Encuentro, and she normally prepares a short message in addition to leading worship. I was not able to attend the time this week, but I was able to talk to my roommate about the topic and the response of the rest of the students. This week’s topic was home, and how a person’s home can often change depending on where they are. 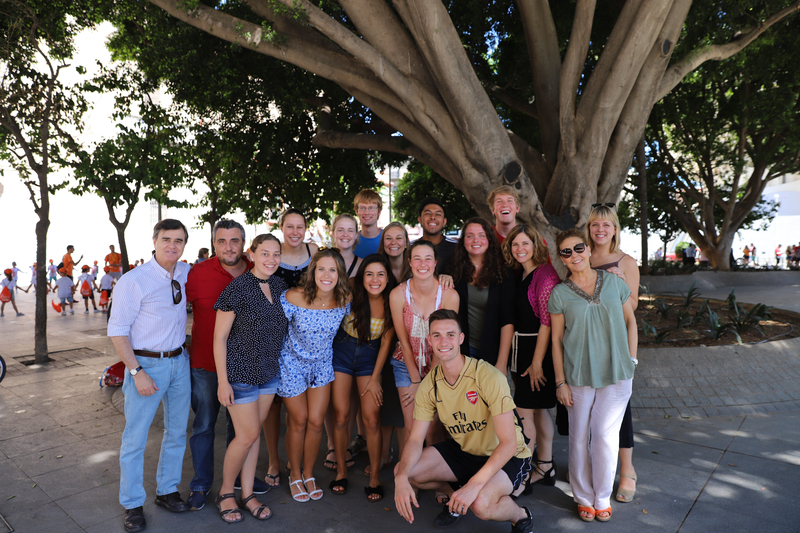 The topic fit particularly well because about half of this first term’s students are not staying for the second half of the summer, and many of them are torn between wanting to stay and return to their homes in the states. As college students, home can be a difficult word for us to define as many of us have moved away from home or our relationships with our parents have changed drastically since graduation of high school. 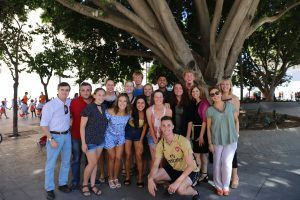 Leaving a comfortable area or place makes a person question what home means for them, and this is the exact circumstance many of the students find themselves in when they come to Spain. Home, at its core for me, will always lie with my immediate family. The place is important as well, but home at its core often comes down to the relationships we have surrounding us. Included in this idea is the importance of having Christian fellowship in order to continue having those relationships that ground us. While I have been here, I was able to attend an evangelical church, and I was struck how home and Christian fellowship in the context of worship, prayer, and preaching of the Word were essential to my mental well-being. These relationships that I have begun to build in this essential context affected every part of my life over the next week. I had a similar experience when I was in Paris this past week. I was with a large group of students, and earlier in the day we had made a speed round of Notre Dame, and the whole time I was in that church, a place of worship, I was struck by how commercial and busy it was, considering the experience I had just had in Seville. Later that day I went with only one other student to the chapel of Saint Chapelle. It is a gorgeous chapel with gigantic stained glass windows surrounding you when you are inside the chapel itself. We spent some time in prayer and reading God’s word and I was struck yet again that home for me as a Christian is centered around fellowship with other believers. When I have that fellowship, a sense of being home can be found.